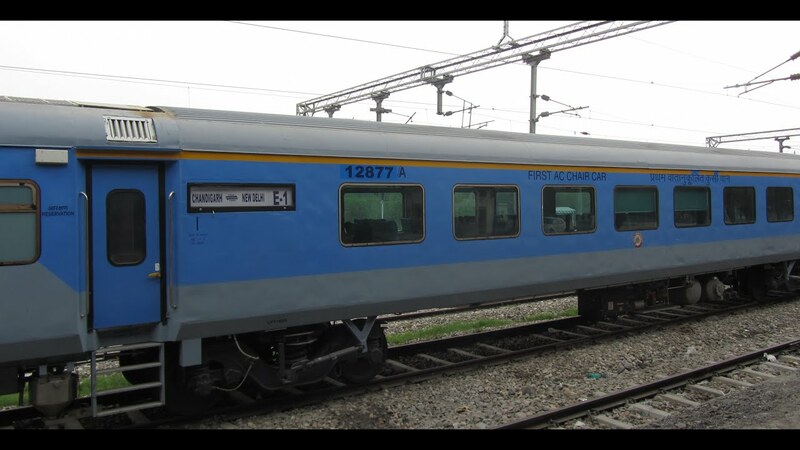 New Delhi: The Railways is going full steam to achieve the target of covering the Delhi-Chandigarh (245-km) distance in flat 2 hours despite many curves on the proposed semi-high speed route. The Delhi-Chandigarh corridor, one of the busiest routes in north India, is slated to be Ist semi-high speed project being taken up by the state-owned transporter to run trains at maximum speeds of 200 kilometer per hour with French help. A senior Railway ministry official said, the earlier plan was to straighten up these curves to facilitate uninterrupted speed on the semi-high speed route. The official said that in a recent review meeting with the French team, it was decided to avoid land acquisition and instead make some adjustment on curves as much as possible on the existing railway land. However, despite curves, the target of reaching Chandigarh in 2 hours will be achieved, the official said. SNCF, the French railways, has been assigned the task of submitting the execution strategy & implementation model with detailed cost of the semi-high speed project involving upgradation of the Chandigarh route. The French team will submit the final report with details of cost analysis & technical parameter by October. It is estimated to cost over Rs 10,000 crore (approx US$ 1562.5 Million) with about Rs 46 crore (approx US$ 7.19 Million) per/km for running trains at 200 kmph, which includes rolling stock & signal & track upgradation on the Chandigarh corridor.